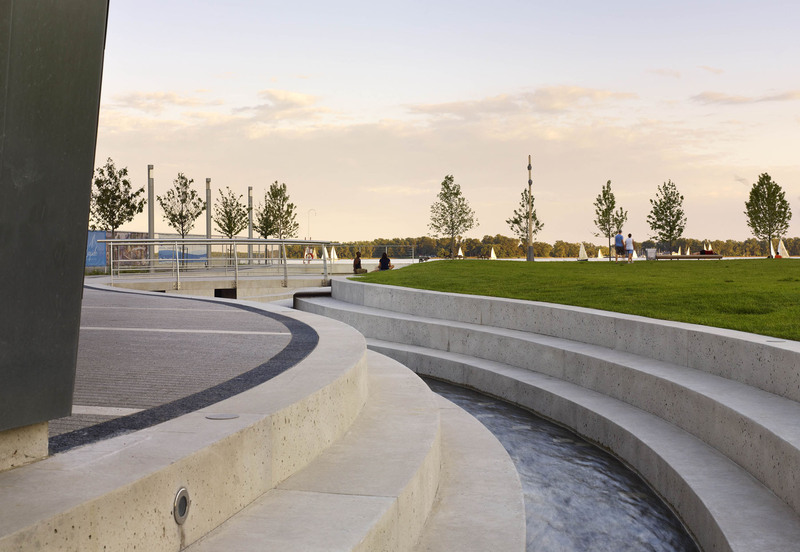 As a key component of the redevelopment and renaissance of Toronto’s waterfront, Phillips Farevaag Smallenberg designed Sherbourne Common as both a major civic amenity and community park. 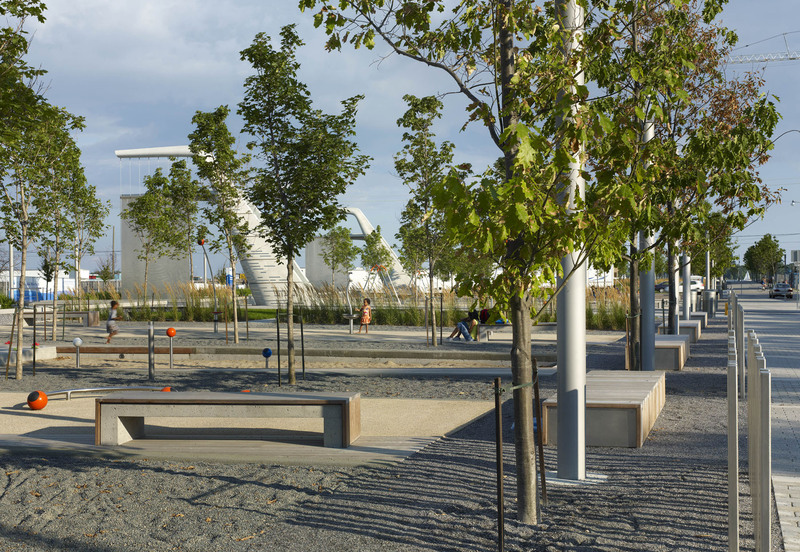 Sherbourne Common has transformed the way Toronto connects to its waterfront and shows the significance and power of the public realm in generating civic imagination for Toronto’s new communities. The park represents a major innovation in the integration of natural systems and civic infrastructure. The stormwater narrative is one primary organizing feature of the park and describes the journey and transformation of stormwater from the sky to the ground and ultimately to the lake. “Sherbourne Common is a major public space serving the emerging neighbourhood of East Bayfront and the City of Toronto at large. 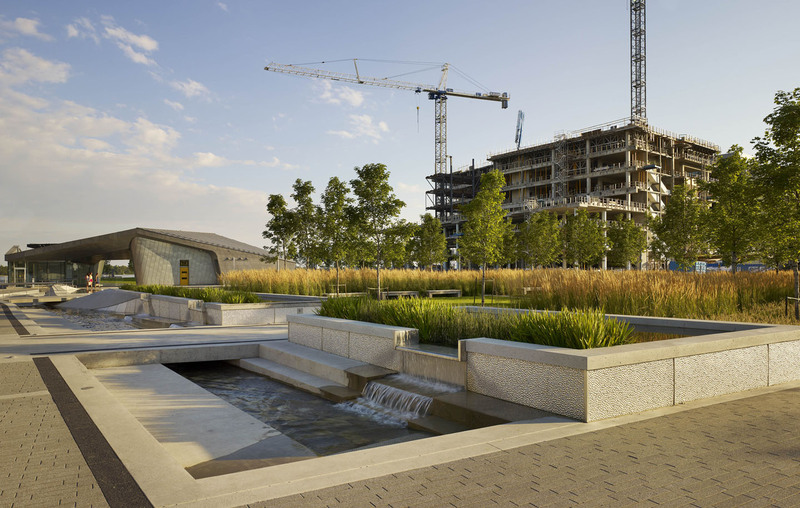 It integrates natural systems, civic infrastructure and provides all-season amenities such as playgrounds, water features, public art, intimate gathering spaces, a multi-purpose central pond and a green civic gathering space. 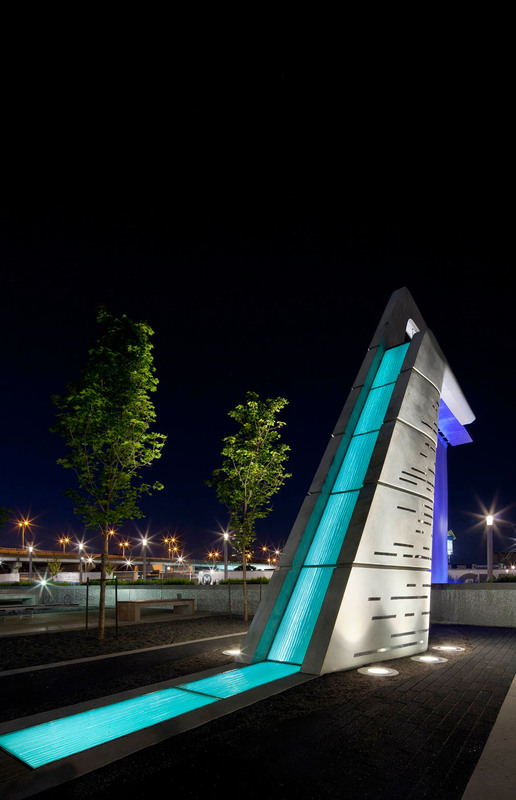 Its spectacular architectural and public art components are highlighted by careful lighting at night time, adding to its presence as one of the landmark places of the new Waterfront, which will further be enhanced by future development. 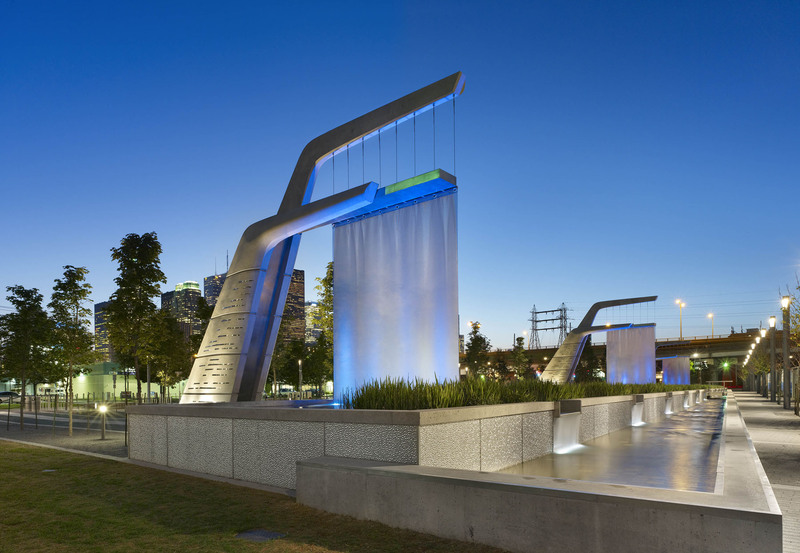 The organizing and unifying feature of the park is the water channel, connecting all the landscape and architectural components with an integrated UV purification system that cleanses and filters stormwater. This approach is a Canadian premiere and a key public infrastructure element for the neighbourhood. The project makes smart use of civic infrastructure funding for public enjoyment, providing a very astute solution in time of fiscal scarcity.